Register now for MST Level 1 in Nanaimo, February 25 to March 29th. Only 3 spaces left. Whole Boat Training is a solid foundation for any career in marine service. 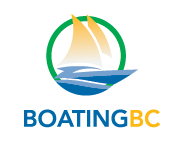 For the first time, Quadrant will deliver MST in a block release training in Nanaimo to serve the small craft/recreational marine industry from Duncan to Port Hardy and Port Alberni to the Sunshine Coast. In close collaboration with marine service businesses and school district career counsellors, we’ll run direct entry Level One Marine Service Technician training for apprentices with employer sponsors.